Staten Island, NY -- Fr. Frank Pavone, National Director of Priests for Life, made the following statement in observance of Terri's Day 2013. "Eight years ago, Terri Schiavo died as a result of court-ordered dehydration. She died on Easter Thursday of 2005. This year, on Easter Friday, which falls on April 5, supporters will gather in Philadelphia to remember the meaning of her life and her death. Archbishop Charles Chaput will preside at a mass at the Cathedral, and it will be followed by a Gala dinner at which Sarah Palin will be the featured speaker. "As I do each year, I will be present along with our Associate Director, Fr. Denis Wilde, and our Pastoral Associate, Kevin Burke. Especially moving about this year's event is that Terri's family will honor the family of Baby Joseph Maraachli, who was denied treatment in Canada in 2011 but was brought to the United States to receive the treatment he needed. "It was my privilege to minister to both families in the midst of their struggles, and it will be my joy to celebrate with them on April 5. "Though the event will be a marvelous tribute to Terri, what is even more important will be the prayer and educational activities taking place around the nation on this theme. We are again reminding all pastors to call their people to remember the lessons that Terri's case -- and similar cases like that of Baby Joseph -- bring before us." 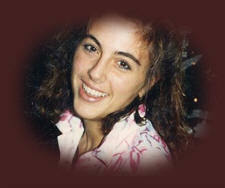 Terri's Day (The International Day of Prayer and Remembrance Terri Schindler Schiavo, and All of Our Vulnerable Brothers and Sisters), normally observed on March 31, the anniversary of Terri's death, is observed this year on April 5 because of the date of Easter. The observance of Terri's Day was initiated several years ago by Priests for Life and Terri's family. For more, see TerrisDay.org.